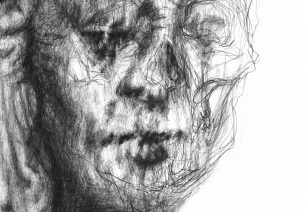 Vappu Rossi (born 1976) is a versatile artist who, regardless of the tool, studies the basic questions of humanity in her her artworks. Whether it is a performance, an animation or a painting, she lets us have a sneak peak inside our own head, and almost automatically we end up making a psychological interpretation of her works. In this exposition Rossi is seen as a classical drawer. The big artworks have been inspired, for instance, by unfinished renaissance sculptures where you can even spot the traces of the chisel. Welcome to the opening party on Wednesday, September 7th from 5 p.m. till 7 p.m.! The event will be inaugurated by philosopher Kai Alhanen. The exposition will be open from the 8th of September till October 9th. 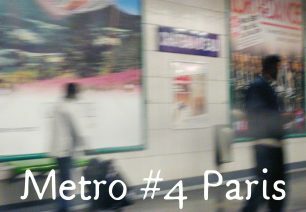 Wed-Fri 12 p.m.-6 p.m., Sat-Sun 12 p.m.-4 p.m.
To celebrate the recent release of her photography book Metro #4 Paris, Catarina Ryöppy has built a photo exhibition around the book. The exhibition is open at ARTag Studio from August 23rd till September 11th. Wed-Fri 12 p.m. to 6 p.m. Sat-Sun 12 p.m. to 4 p.m.